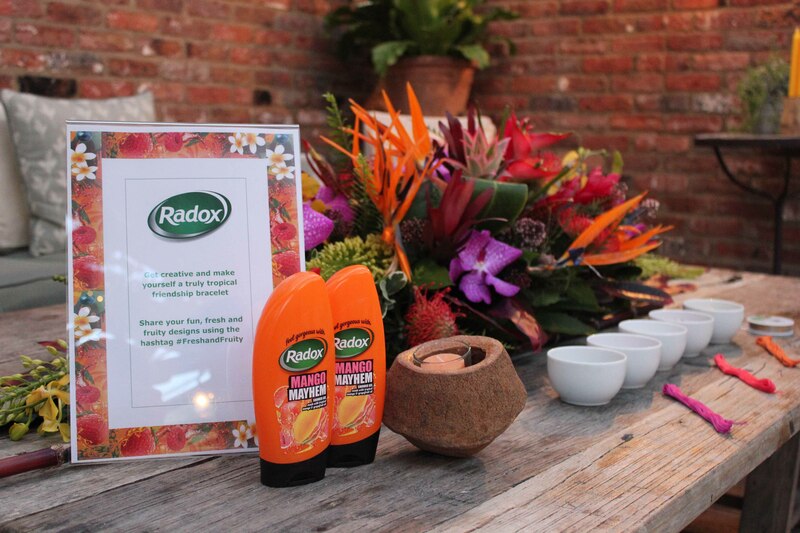 The other night I popped over to the Radox Fresh and Fruity event at the oh so swanky Shoreditch House for a bit of tropical fun. 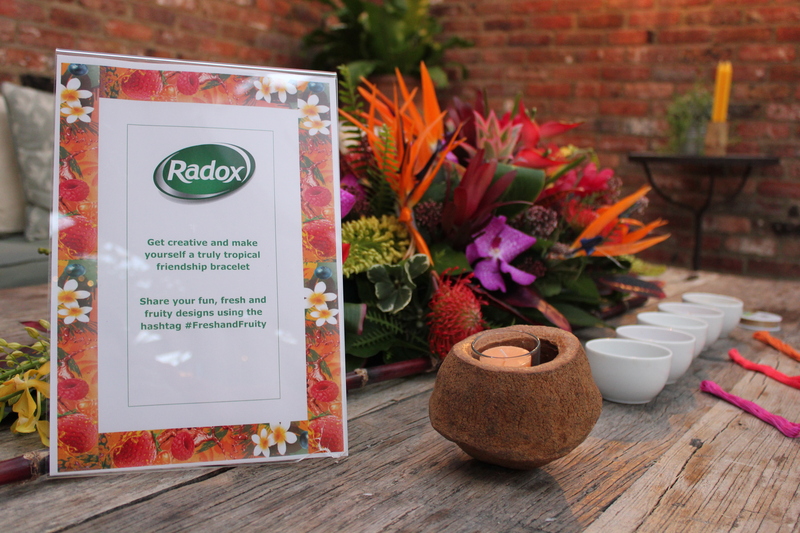 The tropical event really got me in the mood for summer, the evening was to launch their latest Fresh & Fruity shower gels, Radox Passion Fruit Splash and Radox Mango Mahem. 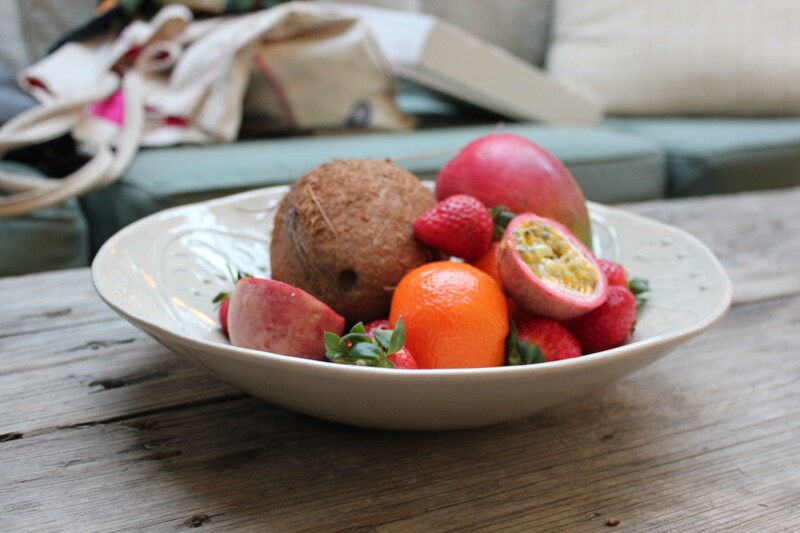 The room was gorgeous, filled with exotic flowers and fruits that really complimented the range. 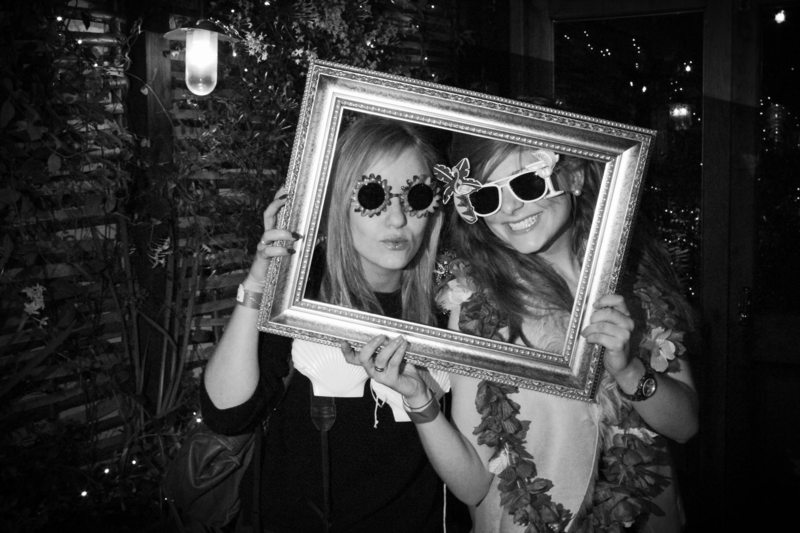 There was a fancy dress area, a friendship bracelet making craft table, a manicure station and lots of canapes and cocktails. What you reckon, good look?! I had the ultimate blogger fail when I realised I’d left my memory card in my computer at home. So big love to my friend Ana (www.thepotofstuff.blogspot.co.uk) who took all these photos. Have you tried the new Radox range?